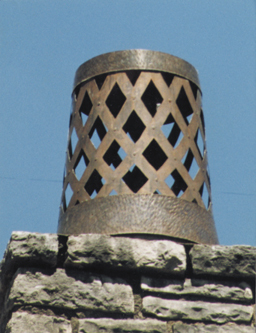 Chimney caps are essential to keep out rain and unwanted guests. 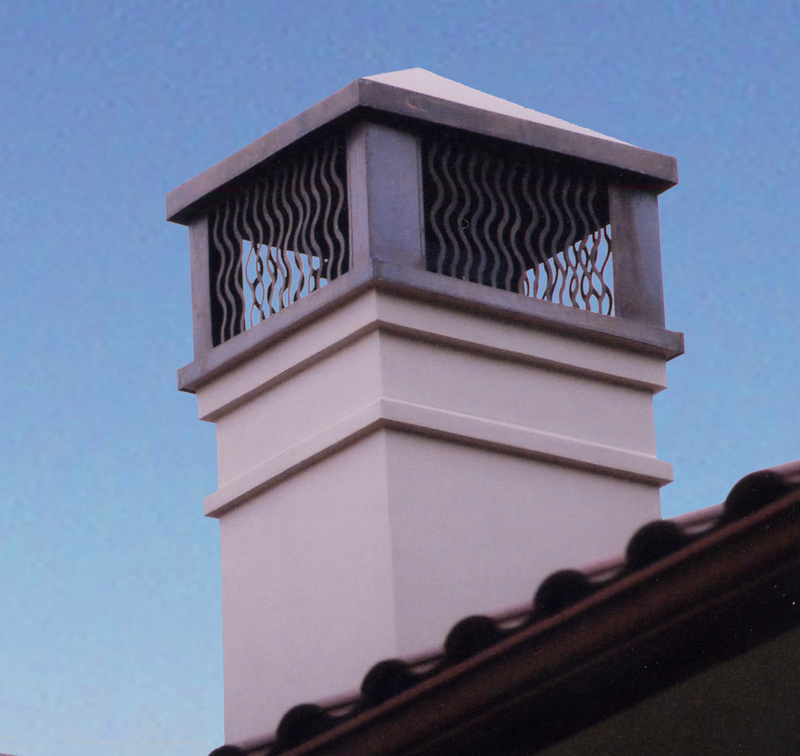 The architectural allure of a gorgeous chimney cap enhances the timeless appeal of your home. 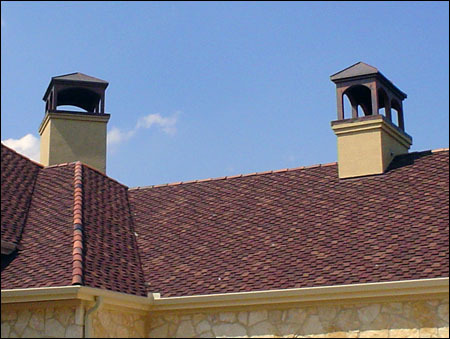 Texas Lightsmith makes each flue cap to order, giving you the ability to have it made for any size or location. Decorative fireplace caps add to the functional aesthetics of your home and this personal touch is always a charming addition. 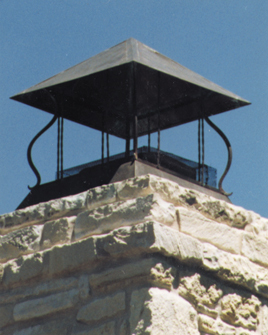 A custom copper chimney cover with attractive standing seams on its roof. Copper mesh, internal steel frame. Chimney Caps: What’s that all about? 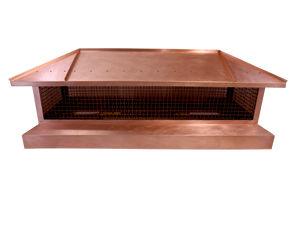 Lattice copper cap for a chimney or fireplace flue cover. 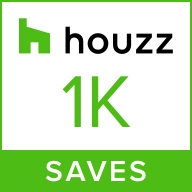 Hammered copper, steel mesh. 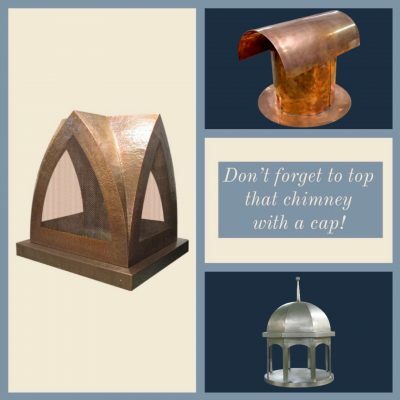 Custom copper cap for a chimney or fireplace cap with decorative copper elements. 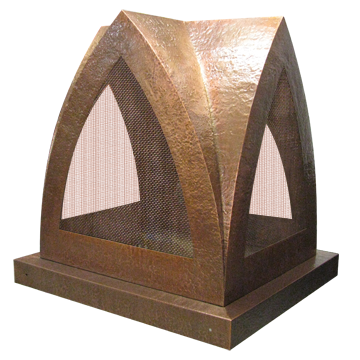 Custom copper chimney cap flue cover with decorative wavy copper bars. 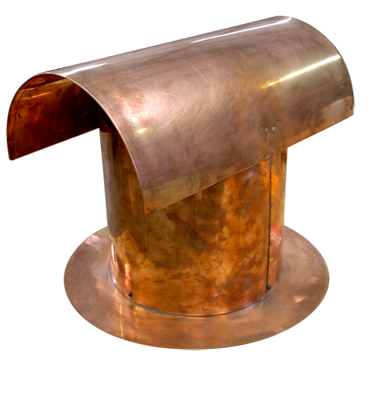 A simple chimney cap or fireplace flue in a natural unsealed copper that will develop its own patina over time with exposure to the elements. Custom sealed hammered copper chimney cap finished in medium copper. 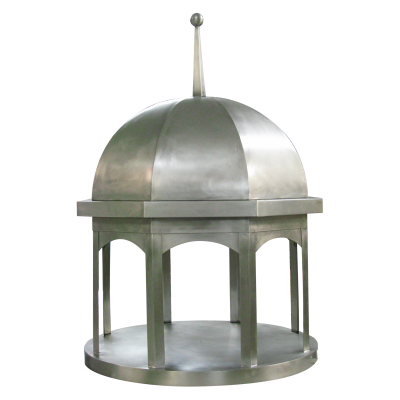 Cupola design in Randomly Brushed Stainless Steel.